Maseru, Lesotho. The destination, in 1969, of a young German missionary, his wife Anni and their baby son. The place where it all began as God shaped a young man of faith and began to mold the "character of faith" in him that would later challenge the devil across the entire continent of Africa and scores of still undreamed of places beyond. Reinhard and Anni Bonnke spent seven long years in Maseru, doing the work of missionaries in the traditional way. 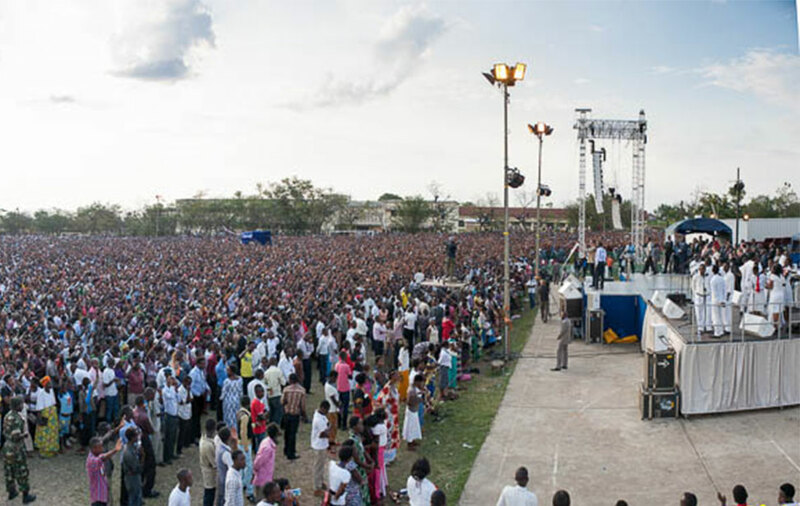 But during those years the call to evangelism that burned in his soul took wings, until by repeated miracles and moves of the Holy Spirit, literally millions of men and women across the world have heard the good news of the Gospel through his anointed ministry. In those early days in Lesotho, God showed Reinhard a vision of a “blood-washed Africa.” Even though at that time there was little or no evidence in his ministry that such a grand idea was even remotely possible, Reinhard took hold of the vision and in Jesus’ name began to speak it and live it. In 1974 the evangelistic organization that is today still known as Christ for all Nations, was born and a small team gathered around the young evangelist to reach out to the peoples of Africa. The preaching of the Word began to produce a harvest of souls and in addition to this, people were being healed of all kinds of diseases. 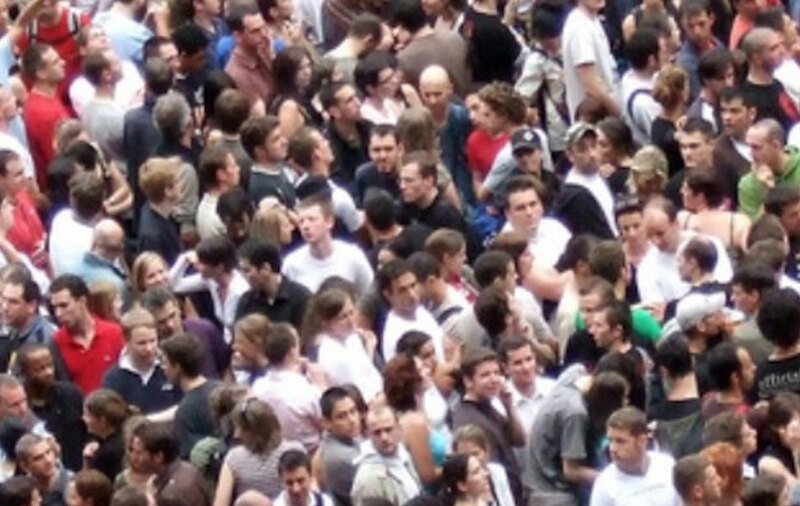 With only one small fellowship co-operating, the meetings began and Reinhard’s disappointment can be imagined when only one hundred people came to the first meeting. He nevertheless preached as if the place were full and to his complete amazement, after only a few minutes, a man in the congregation jumped to his feet and disrupted the proceedings by shouting out, “I’ve just been healed!” This was repeated five times over as others shouted out the same thing, resulting in an outburst of joyous praise. 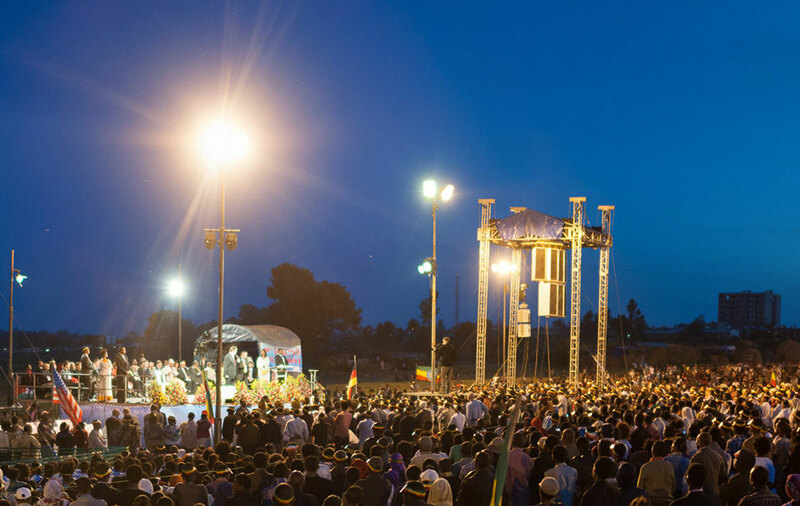 The news that God was doing miracles in the stadium soon spread across the city and by the final meeting, for the first time in his short ministry, Reinhard preached to a packed stadium. 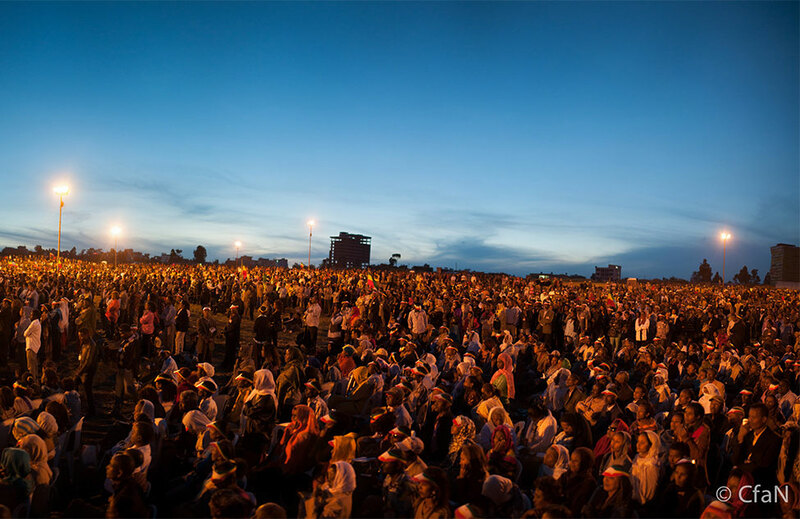 Thousands streamed forward for forgiveness of their sins, hundreds were healed and thousands more were baptized in the Holy Spirit - and this was just the beginning. On a return visit to the country of Botswana twelve years later, the leader of a large denomination reported that eighty percent of his current pastors were converts from that first crusade in Gaberones. 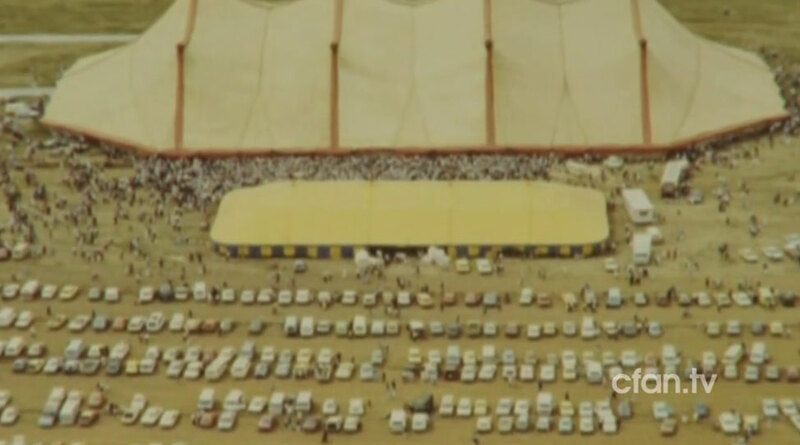 Events moved rapidly after this as the Yellow Tent seating ten thousand people was built and the results of the ministry began to grow. Follow-up teams were formed to help usher the new converts into the local churches and preparation teams began to travel in advance of the ministry team to prepare the ground for harvest. Before long the need for a larger tent was crystallized into action by a word from the Lord about the biggest tent of all, one that would seat thirty-four thousand people. 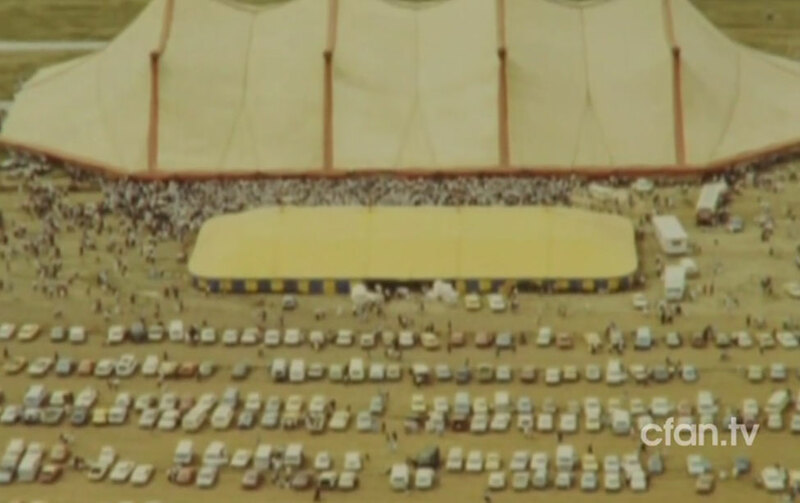 Large enough to completely cover three football fields, with masts that rose as high as a six-storey building, the "Big Tent" was a giant in every respect. It stood like a gigantic combine harvester, ready to move out into the ripe harvest fields of Africa. Open-air crusades became the order of the day as hundreds of thousands flocked to every meeting. 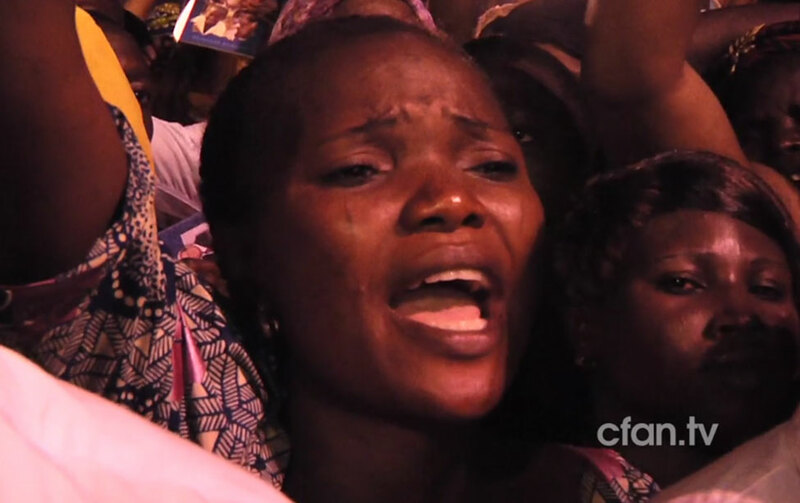 In one particular crusade held in Lagos, Nigeria, 1,600,000 people came to a single meeting with a total of six million attending the five days of services. 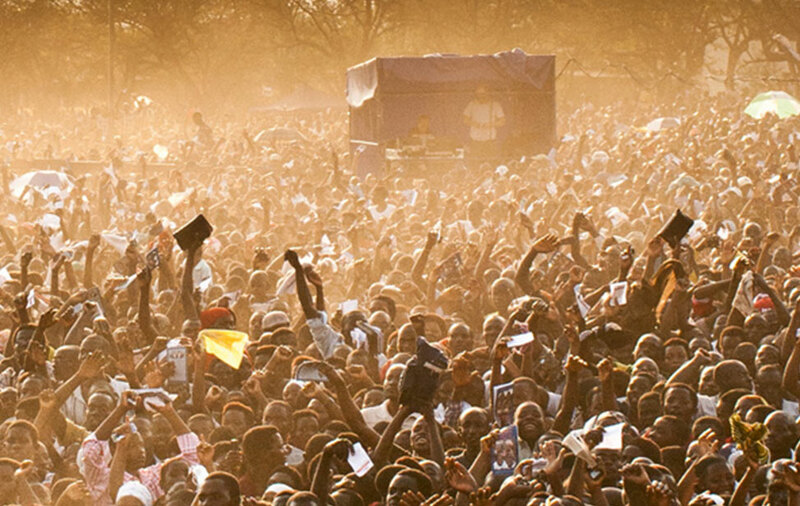 The ministry team moved from East Africa to West Africa and back again as the two, now separate, technical and support teams, organized events on opposite sides of the continent of Africa. 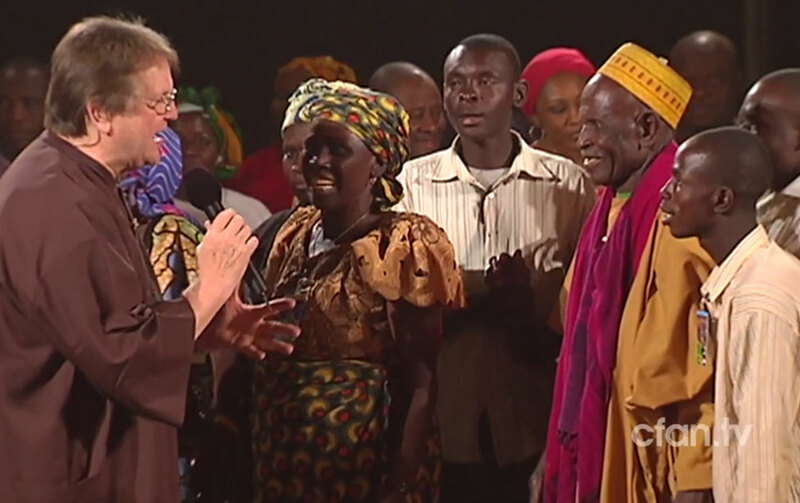 Since the beginning of this evangelistic ministry, Reinhard Bonnke has preached face to face to multiplied millions of people in Africa alone, and of that vast number, over seventy four million responded to the call of salvation by filling out decision cards and were ushered into the church follow-up program. The ministry increased the number of crusades held per year in Africa and also began to branch out to Asia by holding one crusade per year in that part of the world. Crusades followed in Malaysia, the Philippines, Indonesia, Singapore and India, with three or four taking place in South America as well. 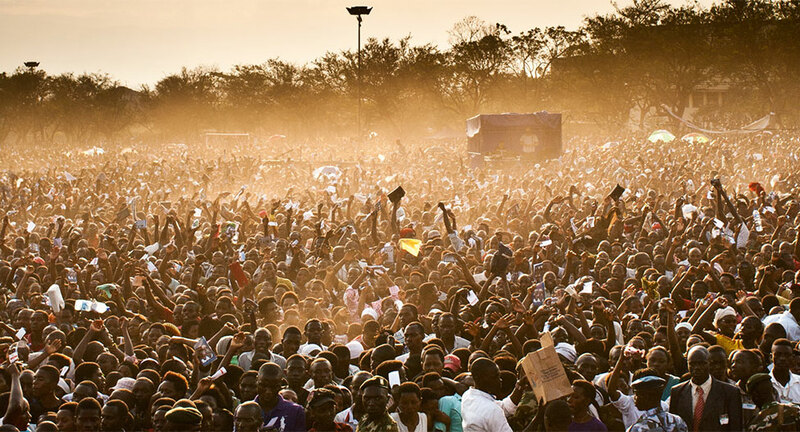 Each event resulted in tens of thousand receiving Jesus Christ as their Savior, and multitudes were healed and delivered from demon forces. As news of what God was doing went ahead of the team, the reception in many places began to change. Some closed their doors to the prospect of such active Christianity but many more opened up gladly. 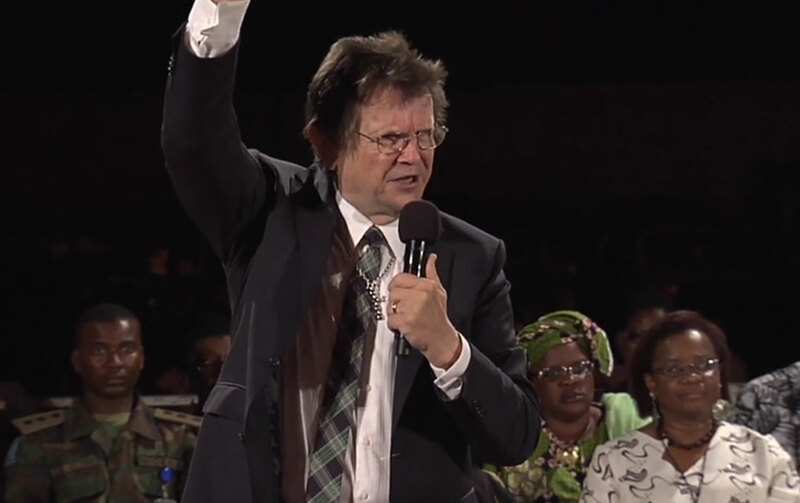 People in high places also began to take note of the huge crowds and the positive impact that the Gospel was having, and Reinhard Bonnke soon found that he was being asked to meet State Presidents and to address Houses of Parliament. Many leading national figures opened their own hearts to the message of the Gospel while meeting privately with Reinhard and to date, he has personally met with fourteen different State Presidents in Africa, and counts a number of them as personal friends. In the industrialized world, the literature outreach known as "From Minus to Plus" has reached into 95 million homes in twelve different countries with tens of thousands of churches receiving converts from the resulting enquirers. The countries touched in this way are the United Kingdom, Ireland, Germany, Austria, Switzerland, Liechtenstein, Norway, Denmark, Sweden, Hong Kong, Canada and the United States of America. This vision still continues actively at this present time in Finland, Greenland, Iceland and the Faroe Islands. A little-known arm of this ministry is CfaN’s literature work. 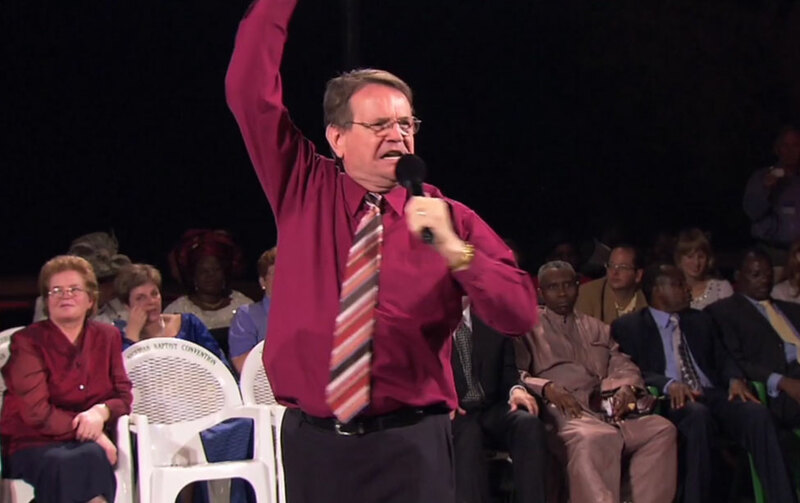 Reinhard Bonnke has written a number of books and booklets. At present, a total of over 179 million books have been translated into over 123 languages and dialects, and are being printed in 53 different countries. Such is the magnitude of what God has done and is doing as His servants are obedient to His words and go out to bring in the harvest. CfaN moves on, from country to country, a seemingly endless parade of nations hungry for the Word that will bring Life and proclaim that Jesus Christ is truly Lord of All. We will see greater harvests as the Lord works through us and as you stand together with us faithfully in prayer and financial support. 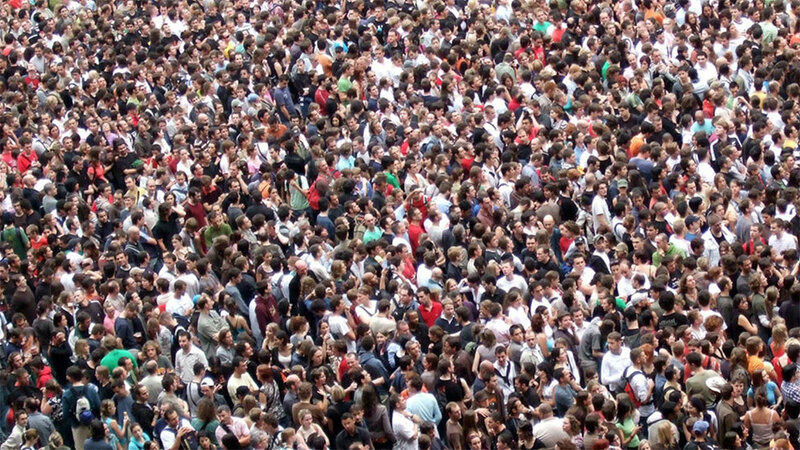 Together we will indeed be able to save countless souls from their sure destination of hell, to populate heaven.